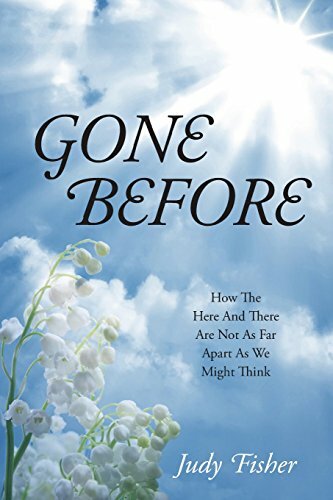 “Gone Before” by Judy Fisher is a very special memoir that the author presents as episodes of her life around her family, with her mom as the main character in all of them. As a daughter, Judy has quite good memories of all the occasions that she shares throughout her life. The story was inspired by her aunt, who was a writer too, and who gave her a special gift of her poems. It is very emotional to experience the final days or moments of your loved one. The fear of what really happens when we die is just one matter. It opens another window of questions, and possibly finding answers in the changes of the life that is slowly leaving to encounter a different phase of their particular journey. I truly relate with the author and know that many have gone through this phase in life, having a loved one with a serious illness. The day-by-day, and hour-by-hour monitoring of changes in their condition or deterioration, and sharing those moments of clarification, and memories that were simply forgotten. I do believe that the person in their final moments pushes the rewind button and starts playing the movie of their life, remembering those special or remarkable moments and persons; experiences that perhaps a visitor cannot see or hear, but scenarios where you can just feel what the person is experiencing. One can call them angels or visions of the person dying, but what if these visions exist to be beside them, to guide them, and are perhaps waiting for the moment when they are ready to leave. We all have been in situations where it feels like something gave us a little push or nudge to help. Coincidence, maybe. It is up to the individual what to believe or not. “It’s not that I left you, though I won’t be there to see. I highly recommend “Gone Before” by Judy Fisher. It is a heartfelt read full of love and warmth, sure to stir emotions and the need for reflection.